Get to the top of search engines with the Cleveland – Akron area’s most effective SEO services and web design company. Our results-oriented SEO programs start at just $500 per month. 24-hour graphic design service available for emergency marketing projects. We are a full-service marketing agency providing web design, search engine optimization, graphic designers for branding and brochure design, digital marketing and email campaigns. Propel the growth of your business with ADVAN, a local, mid-level digital marketing agency and web design company. We offer effective internet marketing services at price points affordable for small to mid-size companies (5 to 500 employees). See great results by hiring the right digital marketing company to help you achieve your 2019 growth goals. Rely on the ADVAN team to design your brand, website and marketing assets. To start with, our graphic design team will create a professional look that is carried across every communication piece. Then, we will elevate your brand and position you above your competitors. Finally, our team will plan and implement a digital marketing program. By fully utilizing all the available marketing tools, SEO, social media management, and PR, we will effectively promote your business. Compare the value and results of our programs to the other full-service Akron-Cleveland ad agencies and digital marketing companies. Our effective SEO programs start at just $500 per month. Our team is experienced in all areas of traditional and digital marketing and can provide everything you need to grow your business from top search engine rankings to the right social media management. Take a minute to view our portfolio. 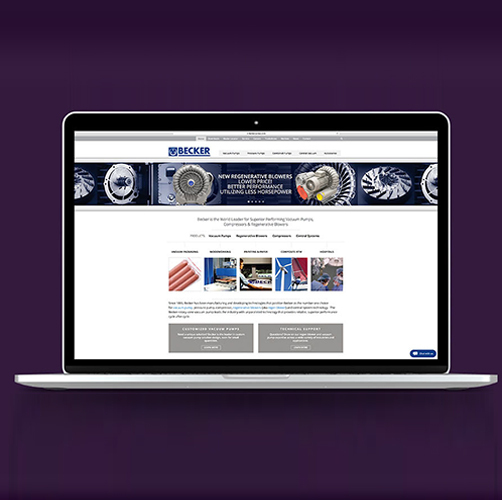 Take a minute to view our portfolio. From a simple logo design to a full e-commerce site, we work with most project sizes and scope. Our team is experienced in all areas of traditional and digital marketing and can provide everything you need to grow your business from top search engine rankings to the right social media management. Check out our reviews! Our Web Development Service is Rated 4.9/5 based on 10 reviews on Google. Website visits from mobile devices and tablets are surpassing desktop for most consumer and many business to business (b to b) searches. 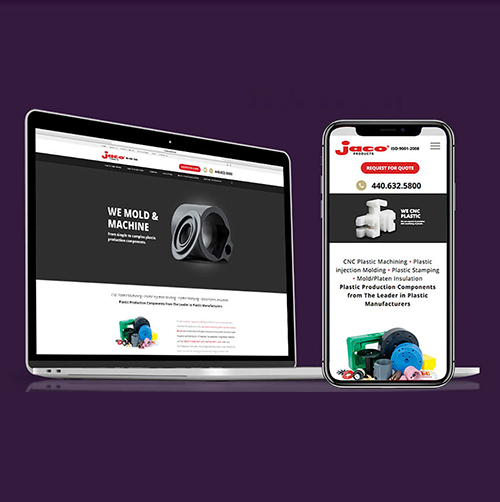 Our talented team of web developers make sure your website looks great across all mobile devices and are user-friendly with intuitive navigation. Getting to the top of the search engines can dramatically increase inquiries and sales. We’ve developed highly successful programs to get and keep our client’s sites at the top of the search engines. We offer affordable monthly programs that get great results starting at just $500 per month. Our search engine optimization (SEO) and other internet marketing programs can drive traffic to your site and conversions to leads and sales. We are experienced in Ecommerce development and shopping carts. Our experienced web designers can help you with your online strategy to successfully manage and sell your products online. We’re a local digital marketing agency, with offices in Cleveland, Akron and a design studio in Stow. You work directly with our creative team, the area’s best graphic designers and web designers of any advertising agencies. Get fast turnaround on custom website design, digital marketing, and creative services from the leader in graphic design companies. Companies across Cleveland and Akron choose ADVAN for our creativity, experience, and success they experience with our team. In addition to our website development services, we can update and manage your existing WordPress site. At no extra cost, we’ll add in our marketing expertise to develop the right look and messages that get results. ADVAN is small in size compared to many advertising agencies with low overhead. Judge us not by our size but our amazing graphic design portfolio and client testimonials. 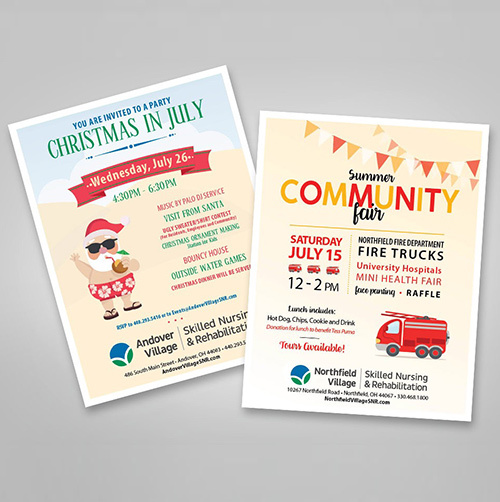 Employing the top 6 graphic designers in the Akron / Cleveland area, we compete with the best. 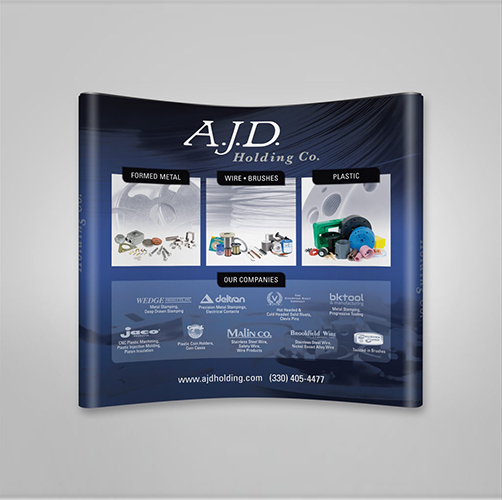 Consequently, ADVAN provides the greatest value in Akron / Cleveland marketing companies. Whether you are looking for complete corporate rebranding, a simple flyer, or web designers near me, our creative graphic designers can help. Need a custom WordPress developer near Cleveland and Akron, Ohio? Our team has designed and built over 500+ websites from static sites to e-commerce. After working in all the available technologies from .net to PHP, we fell in love with WordPress. Today, 100% of our website design is with custom WordPress templates or themes. Most of all, WordPress is the most widely supported content management system available. Especially since its functionality is intuitive and easy to use. As a result, we quickly train our clients to update and manage their sites. WordPress is just one of the many reasons we’re the #1 web design Akron company. Because we have 19+ years’ experience with digital marketing, we have the expertise to execute an effective internet marketing campaign. From social media advertising to search engine optimization, we analyze traffic, audiences and your competition. As a result, we recommend and manage the best avenues for your digital marketing budget. Looking for a Plastic Product Designer or Rotational Molding Design? Looking for rotational molding designer or plastic product designer? Greg Stout is a freelance rotational molding product designer. Are you interviewing Akron marketing agencies to be wooed by coolness and swagger? Sorry, no hipster beards and ink here. Rather, you could describe us as attentive, professional, experienced and highly creative. Led by the experienced marketing consultant, Julie Stout, ADVAN is marketing focused. Julie has provided innovative, successful marketing campaigns to hundreds of companies in the Akron area. And, from custom website design to comprehensive direct mail campaigns or email drip campaigns, we move your business forward. Hence, we develop and execute winning strategies to achieve your business development goals. ADVAN is proud to offer the Cleveland / Akron area’s top creative talent; web designers, graphic designers, and marketing experts. Let us develop a look, brand, Internet marketing strategy for your business. Then, we’ll combine it with traditional marketing to attract the right customers to achieve your business goals. Get the look and strategy that gets your business where you want to go. More importantly, chose the team that delivers web design Akron and supporting collateral that positions you as the market leader. Top ten questions you should ask your web designer when choosing a web design company. Hiring a web design company is one of the most important decisions you'll make for your business and you need to know if a designer is a good fit before finalizing your decision. Even the best web design company might not be right for you, depending on your business's specific needs. What are a few of the best questions to ask a web designer to determine which company is right for you? What are your credentials or qualifications? Not only should a web design company be professional and experienced, its experience should match your needs. How do you run your company? Is it a fully staffed company or are freelancers used? Do you feel comfortable communicating with the people who are assigned to your project? Do you have any case studies from previous clients that showcase tangible results after a design/redesign? This is a great way to judge the results of a designer's previous work. What is the cost for web design? Remember cheaper is rarely better, but you need to know that what you pay for will get you the results you want. How much time is invested in planning and researching? There should be analysis performed on your business, your competitors, and the market in general before the building of your site begins. Is conversion and usability testing included in your price quote? Results-oriented designers test pages to ensure the best options are being used. How is current traffic analyzed before design decisions are made? Even the most lackluster designs can have some strengths and you want to incorporate those into the redesign. What does follow-up look like and what is done if my objectives are not met? A website isn't a product you can return to a store if it does not work properly, so there should be a plan in place for adjustments if things don't initially go as planned. And when you are ready to take your marketing efforts off-line, we’ll help you design marketing materials that suit your needs. 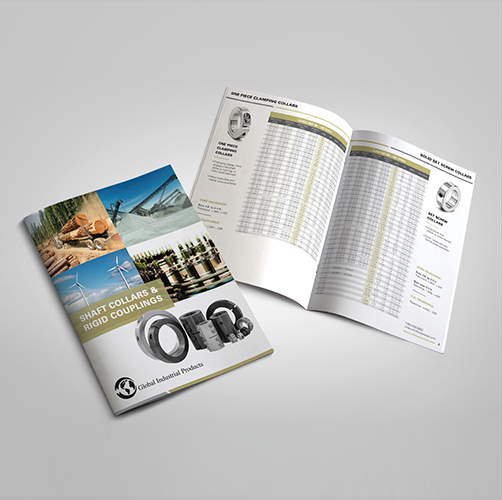 As valuable as a website is, sometimes there is nothing like an old-fashioned brochure to share information with potential customers. We are a top ad agency that helps you grow in every way possible – on-line and with traditional marketing methods that even today, still offer success! Are You Looking for a Freelance Web Developer? Yeah! We Can Help You. Our goal is to help you achieve your on-line marketing goals in the best way possible. You have many options when it comes to hiring a freelance web developer and we know not all of them are what you need. Many developers make big promises for rock bottom prices, but you soon learn the quality is not up to your standards or there are hidden fees that drive the price up. Why Consider Professional Web Design Services when there are So Many Free Website Builders? It can also be a disaster. 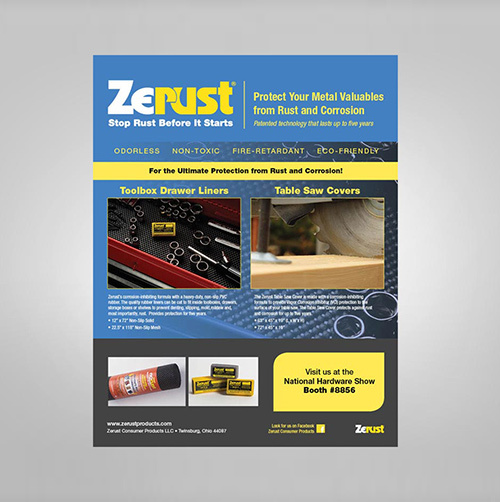 We have spent a great deal of time working with a variety of industrial manufacturing companies and our in-depth experience can benefit you and your on-line marketing goals. Your products and services are unique, and your web design should be, too! Working with a local web developer has its advantages. We understand your market and we know what it takes to gain the respect and loyalty needed to grow your business in cities like Akron, Canton, and Cleveland. Had a Poor Experience with Web Developers? Choosing the Right Web Design Company Makes the Difference! Our web developers take the time to get to know your company and understand your needs and expectations. No two companies are alike, and while we have a great deal of experience working with industrial manufacturing companies and other businesses throughout Cleveland and the surrounding area, we know that each is unique. We’ll do everything we can to help you design and build a site that meets your needs and works for you. Frustrated with Website Designs that All Look Alike? You're in the Right Place for Unique, Custom Website Design! Your business is unique and your website design should be too! The popular convention these days is to copy a successful design and stick with the trends that seem to be working. Though this can be safe, it does not’t communicate your message very well – you are a one-of-a-kind business that stands out from your competition! 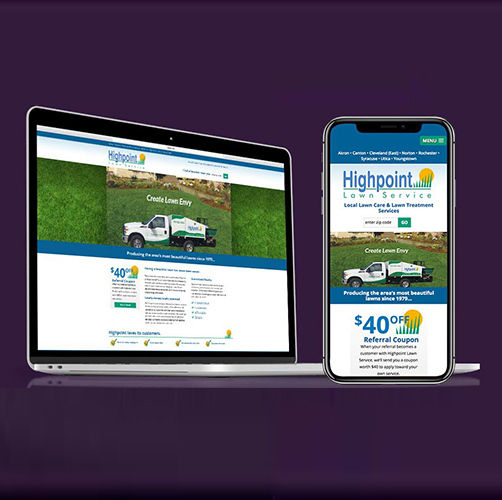 We help you rise above with a unique, custom website design that enables you to make the most of your presence on-line Your business is one-of-a-kind and your web design should be too! Questions to ask when selecting SEO companies? What questions should you ask an SEO company before signing on the dotted line? How will you improve my site's SEO? There is more to high rankings than just splashing keywords all over a site. Make sure you understand the strategy that will be used. How do you measure success? The success of an SEO strategy should be based on measurable metrics and your specific goals. You'll want to know how many clicks there are to your site, how much time is spent on the site, what the bounce rate is, how many clicks convert to paying customers, and much more. Can I have a list of current and past clients? References can tell you a lot about an SEO company. Is local SEO an option? If you are a brick and mortar business (and sometimes even if you are not! ), targeting your specific geographic market with SEO is essential. Will you share with me everything you change? You need to know that everything being used to improve your SEO is ethical and representative of your brand. Make sure you know how "the magic" is happening. How often will we communicate and how? Knowing what to expect in advance and ensuring an SEO company's communication strategy matches your own can avoid many problems throughout the process. What will SEO improvements cost? In addition to numbers, make sure you have specifics concerning where the money is going. Search engine optimization strategies for digital marketing success. We put a tremendous amount of resources in testing and developing new SEO tactics. Rather than test them on our client's sites and put them at risk of dropping, we use our site as the sandbox. Strategies that we find effective, adopt on our clients sites. This is a key phrase / content heavy strategy that we are experimenting with.